It was far from perfect, but the 19th ranked Wisconsin Badgers aren’t interested in style points at this stage of the season. 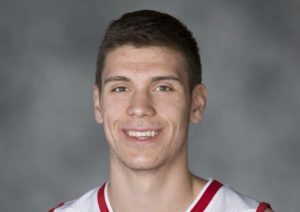 After falling to Minnesota at the Kohl Center on January 3, the Badgers returned the favor, pulling out a 56-51 win on Wednesday night at Williams Arena in Minneapolis. The Badgers missed a number of shots in the lane in the first half but settled down in the second half to pull out the win. The Badgers (17-6, 9-3 Big Ten) extended their win streak to six games and moved into a third place tie with Michigan State in the Big Ten race. Wisconsin is a half game behind Purdue and a game behind front running Michigan and will face the Wolverines on Saturday in Ann Arbor. The Wisconsin Badgers trailed go a goal late in the third period, but the Minnesota Gophers scored four goals in four minutes to come away with a 9-4 victory at Mariucci Arena. Freshman center Mick Messner scored in the second period and forward Brock Caufield, Jack Gorniak and Seamus Malone each lit the lamp in the third period to make it a 5-4 game in favor of Minnesota (10-10-4, 7-5-3-0 Big Ten). But the Gophers then rattled off four unanswered goals with under five minutes to play, putting the game out of Wisconsin’s (8-11-4, 4-5-4-1 Big Ten) reach. The Badgers outshot the Gophers 46-28, but Minnesota’s success on the power play and an early 3-0 lead in the first period were enough to doom the Badgers. The two teams wrap up the 2-game series on Saturday night. The Wisconsin Badgers shot just 26% from the field in the first half and dug too big of a hole to get out of, falling to the rival Minnesota Gophers 59-52 on Thursday night at the Kohl Center. The Badgers made just 2 of 14 three-pointers (14.3 percent) and 6 of 26 field goals overall in the first half, trailing 29-14 at the break. Wisconsin (10-4, 2-1 Big Ten) shot 63% from the field in the second half and pulled to within 49-47 with just over two minutes left before committing three straight turnovers. That allowed the Gophers to pull away for the victory, ending the Badgers seven game win streak over Minnesota at the Kohl Center. 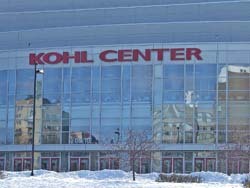 The Gophers last win at the Kohl Center came on January 15, 2009. Ethan Happ had 17 points and eight rebounds and played well in the second half. 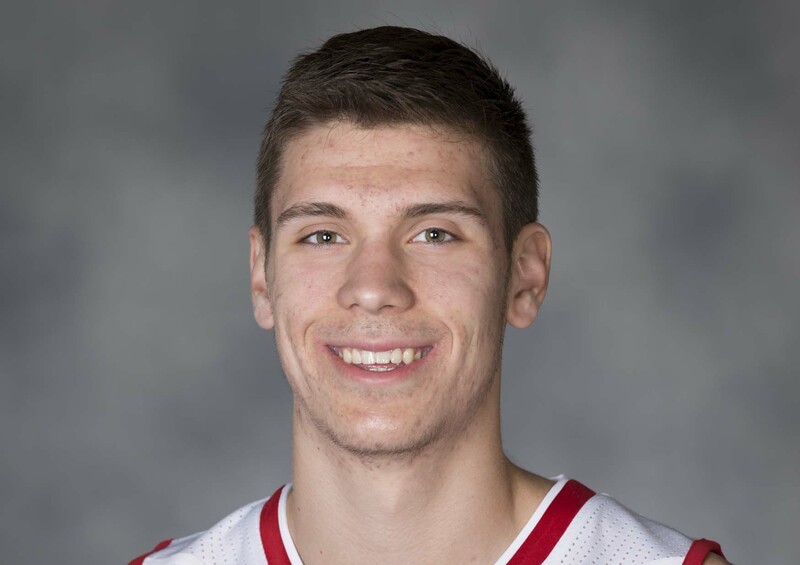 But he also made just 1 of 7 free throws as UW finished 7 of 17 from the stripe. It’s senior weekend at the Kohl Center this weekend as the 17th ranked Wisconsin men’s hockey team faces the rival Minnesota Gophers at the Kohl Center. The Badgers will recognize their eight seniors before Saturday nights game. It’s the largest senior class for the Badgers since the 2013-14 squad had nine seniors complete their eligibility. That list includes Tim Davison, Jason Ford, Kyle Hayton, Cameron Hughes, Cullen Hurley, Jake Linhart, Matt Ustaski and Ryan Wagner. 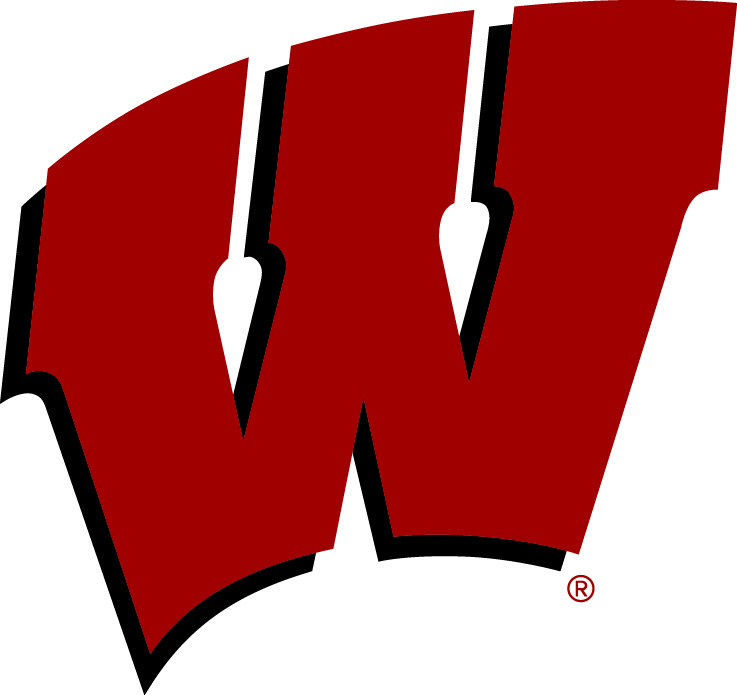 The Wisconsin Badgers are 12-0 for the first time in school history, following Saturday’s 31-0 shutout win over the Minnesota Gophers in Minneapolis. The win is the 14th straight for the Badgers in the series and keeps Paul Bunyan’s Axe in Madison for at least another season. 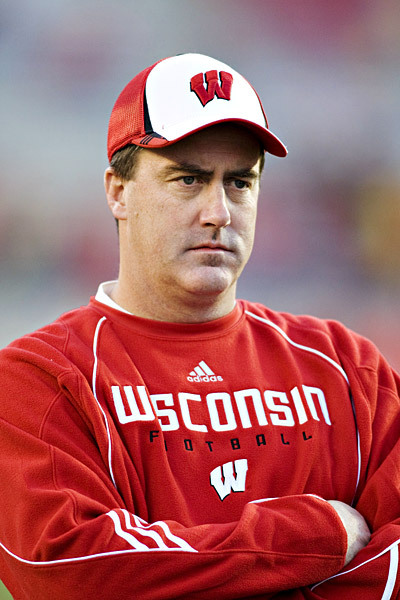 Paul Chryst improved to 22-4 in Big Ten play and 33-6 overall at Wisconsin (12-0, 9-0 Big Ten). Wisconsin’s win, along with a pair of losses from No. 1 Alabama on Saturday and No. 2 Miami on Friday, should propel the Badgers into the top four when the College Football Playoff rankings come out on Tuesday night. Wisconsin was fifth in the rankings going into Saturday’s win against Minnesota. The Badgers will most likely secure a bid in the four-team College Football Playoffs if they knock off Ohio State in this Saturday’s Big Ten title game in Indianapolis. The Buckeyes (10-2, 8-1) knocked off Michigan 31-20 this past weekend. The Gophers finished 2-7 in the Big Ten and 5-7 overall in P.J. Fleck’s first season. The Badger defense posted its first shutout since a 37-0 win over Rutgers on Nov. 1, 2014. The Gophers didn’t even pick up a first down until 41 seconds left in the first half. The Gophers finished with just 133 total yards on 48 plays, an average of 2.8 yards per play. Alex Hornibrook finished 15 of 19 for 151 yards and three touchdowns in the victory, while freshman running back Jonathan Taylor finished with 20 carries for 149 yards and a touchdown, giving him 1,806 yards rushing for the season. That’s third all time for FBS freshmen. Wisconsin’s Ron Dayne finished with 1,863 yards and Adrian Peterson finished with 1,925 yards in his first season. Wisconsin improved its record against Minnesota to 60-59-8, taking the lead in the team’s all-time series for the first time in the history of a rivalry that dates to 1890. 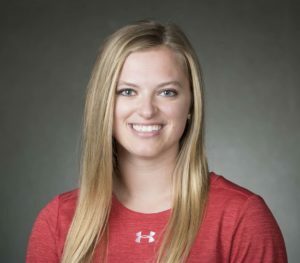 Senior co-captain Baylee Wellhausen scored 1:32 into overtime to lead the number-1 ranked Wisconsin Badger women’s hockey team to a 2-1 victory over number-6 Minnesota on Sunday at Ridder Arena. Wellhausen scored her second goal of the weekend and of the season for Wisconsin (12-0-0, 6-0-0 WCHA), firing the puck over the shoulder of Minnesota (5-4-1, 4-3-1-0 WCHA) goaltender Sydney Peters. The two teams were scoreless in the first period. 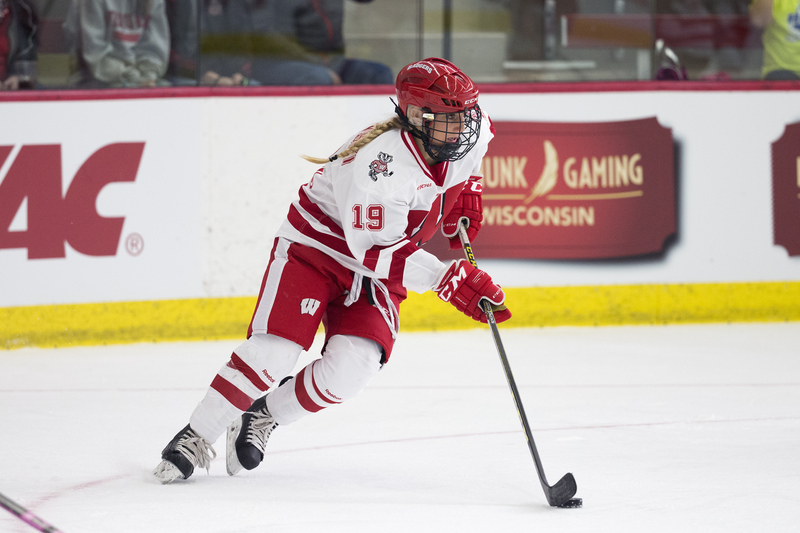 The Badgers capitalized on a 2-on-1 situation in the second as junior Sam Cogan slotted the puck onto the stick of sophomore Alexis Mauermann who put it past Peters to give the Badgers a 1-0 lead. The Gophers scored a short time later on a power-play to send the game tied 1-1 into the third period. Wisconsin completed its first sweep at Minnesota since the 2006-07 season and only its fourth road sweep of the Golden Gophers in school history. The Badgers outshot Minnesota 27-17, marking the 11th time this year UW has outshot its opponent. Wisconsin returns home to face No. 4 Ohio State in a Saturday-Sunday series at LaBahn Arena. Saturday’s game, which is sold out, begins at 2 p.m. while Sunday’s game starts at noon.